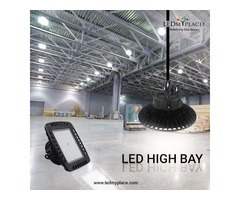 You can use LED Flood Lights to make the outdoor area more appealing and interesting and can select the best Light to Lighten the streets, highways, hotels wall ways and many other places in an effective way. Among many Lights, you can use a 300W LED Flood Light at the outside of your big commercial places including departmental stores, malls, showrooms among many other places where a large number of customers visit your outlet. 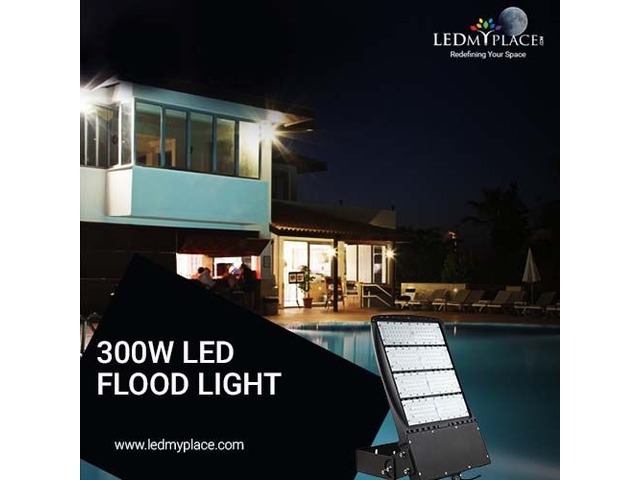 This 300W LED Flood Light to have the latest Lighting technology that can work amazingly for a longer period of time, also the Lumen is close to 40,000 Lumens with a color temperature of 5700K. 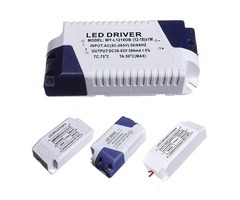 These Lights are UL, DLC, CE and ROHS approved and give the buyers an opportunity to get rebate and incentives from the power companies. 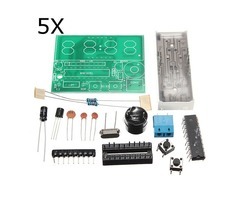 The huge big heat sink that is made using durable aluminum remove heat and keep the Lights cool even if used for a continuous period of time. 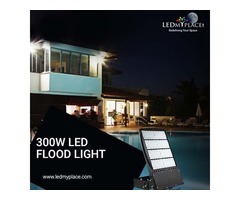 All the LED Flood Lights manufactured by LEDMyplace have a photocell that gives the additional saving option. Are fully waterproof and rustproof. Comes with a wider beam angle allowing you to cover the extreme corner places as well. So use these Lights at many along with supermarkets so that you can make savings of almost $1,000 over the next 10 years which means savings of $8.33 a month.